Money for Handling Money: What is a Bank Teller Salary? Bank tellers play an important role for the customer-facing side of the business. People count on bank tellers for everything from deposits and withdrawals to more complicated tasks like paying out loans, setting up new banking products, and more. To help customers in a timely and professional manner, bank tellers have to be agile and knowledgeable on all areas of the business. While bank tellers may not necessarily facilitate some of the transactions people are inquiring about, they must be able to provide good basic advice and know when to point customers in the direction of a more specialized team member. In addition, as online banking grows in popularity, bank tellers are expected to take on more of an advisory role. Instead of simply being order takers, bank tellers are expected to help sell credit cards, new accounts, and more to clients who are lacking in banking products. So, how are bank tellers compensated for their hard work and wealth of knowledge? 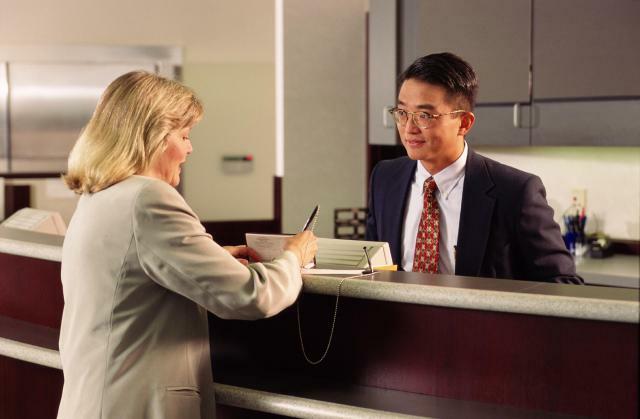 Are there additional advantages to becoming a bank teller? In this article, we will look at what makes up a bank teller salary and the opportunities for people considering this role. What Does a Bank Teller Salary Look Like? Bank Tellers are often paid in the form of an hourly wage. According to recent statistics, the average bank teller earns $11.99 per hour which works out to an annual income of almost $25,000. Of course, hourly wage is only one indicator of how much a bank teller can earn. In many banks, tellers are salespeople as well as traditional tellers. As a result, there are a number of banks that offer their tellers a commission or bonus for selling products like credit cards or providing leads to specialized team members who can write loans for customers, secure their investments, and open additional banking products. A bank teller salary can also change based on the branch in question. For example, a busy bank branch with a number of high value business clients may expect their tellers to provide a quality experience over and above what normal bank tellers typically have to provide. There may also be varying levels of bank tellers at each branch. Some tellers may be dedicated business tellers, managers, or shift leaders. All of these factors could play a role in determining a specific bank teller salary. Another thing to consider over and above pay is the benefits that come with being a bank teller. Most banks provide exceptional health care benefits packages as well as vacation time for full time bank tellers. Part time tellers may also get health care benefits and vacation time depending on the bank that they work for. However, perhaps one of the most significant benefits for bank tellers, and all bank employees for that matter, is discounted banking products and services. A bank teller salary only tells part of the story when looking at compensation. People that work for a bank are often given preferred rates on products like credit cards, loans, lines of credit, and bank accounts. If these benefits are used to their fullest, tellers can actually save a lot of money on their banking. For example, many bank tellers are given a free employee bank account that includes the same features as the bank’s top-tier account offering. At many banks, an account like this can cost $15 per month or more. That’s an annual benefit of $180 and that’s just the beginning of the banking benefits for employees. Bank tellers are often also given preferred rates on their credit cards. For those who occasionally carry a balance on their credit card, this preferred rate could save hundreds of dollars each year. The same is true for loans including car loans and mortgages. Bank tellers are often given rates as much as 1% below the bank’s best posted rate which, on a large loan like a mortgage, could amount to thousands of dollars of savings. Of course, these benefits are largely dependent on how much tellers make use of them. A teller who only uses the free bank account will get much less benefit when compared with a teller who uses all benefits offered to them by the bank. If you are underwhelmed by the salary or wage offered for a bank teller, be sure to ask about the additional benefits. These benefits could be much more valuable than a small increase in pay. Perhaps one of the greatest reasons to consider a job as a bank teller is the upward mobility offered by such a position. While being a bank teller is a great job to have, moving into other roles within the bank can help employees secure a significant salary increase. Bank tellers have the unique opportunity to connect with customers face to face and learn the internal banking systems. This makes them prime candidates for promotion when new roles open up for financial advisors, personal bankers, and managers. Being a bank teller is a great way to get into a strong organization, build a good reputation, and then grow into a new role. Best of all, banks are fantastic organizations for those who are looking to learn and grow. Many banks will invest in education and certification opportunities for their employees to help them fill open roles. The dollar value of this training can amount to thousands of dollars per course and, obviously, lead to jobs with much higher salaries. A bank teller salary can be seen as a training wage in many banks as tellers train, learn, and look to move further up in the organization. When considering any job, the cost of education can often be a factor. Earning a great salary can often mean that a lot of education is required. For bank tellers, the usual education requirement is a high school GED. In some cases, banks may require their tellers to have more education like a college diploma. Of course, it never hurts to have additional education beyond the minimum requirements. However, most training and education required for the position will be provided by the bank. As mentioned, if bank tellers are interested in moving into new roles then there may be additional education required. Most of this education is industry specific and rarely requires a college education. Rather, there are certification or licensing courses that must be taken. For example, a bank teller that wants to become a financial advisor may need a Series 6 or Series 7 license in order to pursue that career path. Ideally, most banks will provide funding for this training or reimburse employees upon completion. If not, the licenses are still a great personal investment to make for bank tellers who want to move up in the organization or move onto another banking institution. Many people wonder if bank tellers will still be around in the coming years as technology continues to advance. While less people may visit the bank in person for their regular transactions, there is still a major role for bank tellers to play. As foot traffic drops in-branch, bank tellers are beginning to grow their role into front line advisors. They are often expected to help clients find the right solutions to meet their needs. This kind of experience is incredibly valuable to banks that are continuing to grow and seek out the right people to provide service at all levels of their business. While a bank teller salary may not be a get rich quick plan, the opportunities and benefits that can come from being a bank teller are huge. Tellers who make the most of the education, training, and growth opportunities provided will see the most benefit from their hard work beyond just the pay that is deposited into their account. Those that are hoping to grow without putting in the effort may be disappointed by the pay offered to tellers. If you are considering a job as a bank teller and the future opportunities it can provide then you are definitely on the right track for a long and rewarding career. This entry was posted in Salary on March 25, 2019 by Publishing Team. Whether we like it or not, money makes the world go round. It doesn't often buy happiness, but it sure makes it easier for us to do the things in life that make us happy. In order to get that money, most people have to head off to work. Whether you're an accountant, a teacher, a police officer, a sports analyst, or anything in between, you rely on your paycheck to pay for almost everything in your life. And, like most people, you probably feel like you're not getting paid quite enough for the things you do. You work hard each and every day and deserve to be rewarded for that. But what do you do if you're not making what you should be? The only choices are to suffer where you're at or go negotiate salary wages with your boss. Often one of the hardest things to talk about in life is money. People become sheepish, uncomfortable, and anxious when budgets, salaries, and bills come into the conversation. It's important to remember that money is a fact of life, and people understand that more than you think. Especially people at a company or corporation. If you're worth more than what you're currently making, it's important to take action. We know it can be terrifying, but think about how much better you'll feel when your salary increases. No time to cry home to mama. We're walking into that office and not leaving until a change has been made. Salary just sounds like one of those words adults say to sound sophisticated. But what exactly is that? In generic terms, it is the amount of money that you can expect to receive for doing your job. A lot of times, a salary is something that is fixed, meaning you make the same amount of money on every check you get. This check might come to your weekly, bi-weekly, or monthly depending on the company. The specific amount you receive is decided on by an employer before being given to you. Overall, it's that sweet, sweet cash you get for showing up to work and doing your job. So someone gets to decide what your work is worth before you even begin to work? What kind of logic is that? While it might seem a little strange, it is true. The higher-ups in your company are the ones that are ultimately in charge of your salary. According to what level of skill they think your job takes, how skilled they think you are, how much they want to hire you, and how much money they are able to pay their employees, your boss will come up with a rough figure for you to receive before your job even begins. This number can be altered over time, through negotiation, bonuses, and raises, but will likely stay at the same rate for at least a year. All this money talk is making everyone feel uncomfortable. Why even bother trying to negotiate salary wages anyway? There are actually a lot of great reasons why you should consider trying to negotiate your salary. The most obvious, of course, is money. If you take the time to negotiate your salary and are successful, you'll be able to bring home more money at the end of every week. This should enable you to do more of the things you want, invest in certain items, and maybe finally go on that Alaskan cruise you've been dreaming of. What you might not initially think about is how much negotiating your salary will impact your future employment opportunities. If you've filled out an application recently, or ever in your life, you probably know that dreaded field where they ask how much you currently make at your place of employment. You might not think this is incredibly important, but it's actually a way for future companies to determine how much other people, and yourself, value your work. If they see that you're used to making something less than what you're actually valued at, they might follow a similar line of pay for you down the line. Similarly, negotiating your salary proves to your boss that you know what you're worth. You understand how skilled you are in your field and how much someone of a similar skill level makes. Plus, you'll never know unless you take steps to ask for it. An employer will not be aware of the fact that you are unhappy with your salary unless you talk to them about it. Many places can often be quite accommodating, but only once they know it's bothering you. Speak up! Let them hear your voice so you can get the money you deserve. Another way to look at it is that if you're a good worker that the company values, they should care about what you want. Not only that, but they should be considerate of your time and effort and reward you for that. Having the courage to negotiate salary raises with your boss is so important. Not only for the sake of money but for the sake of your time. Getting paid fairly makes you feel valued, appreciated, and ready to work even harder. This should be crucial to your company. Keeping you happy at your job should be their top priority if they want you to keep doing a good job at it. Meaning that if you show them how important a raise is to you, they should find it to be just as important to them. All this is great, but when would you even be able to do this? It's not like you can waltz into your boss's office at any time and demand a salary boost, right? It all depends on what you have to say, and what you have to back that up. A great time to begin negotiating is when you have a job offer in hand. This can be tricky waters but is something that could drastically improve your initial image of the company. Think about it, if you're already unhappy with the salary you are expected to receive before you begin, imagine what you'll feel like a year down the line. It's best to resolve the issues before they begin to impact your actual work ethic. Be sure to be patient until you have the actual job offer in hand though. You'll have a much better chance of succeeding with your negotiation skills if you are certain the company even wants you. If they really want you, but you're going to decline their offer if the salary isn't higher, say something. Let them know, and they may be able to help accommodate with a bit higher of a salary right from the get-go. Once you've been at the job and have been working consistently, you may also want to negotiate salary raises. Perhaps you've come to realize you're doing a lot more work than you initially thought, or your level of skill and leadership far exceeds that of your coworkers. It may be time to consider talking numbers with your boss. However, only do so if you actually have a valid point to discuss. They will almost undoubtedly have questions for you before they decide to give you the raise you're looking for. Why do you deserve this salary raise? Can you give me a good reason why I should consider giving you this raise? What have you been able to bring to this company that makes you worthy of a raise? They're going to ask you these types of things, so make sure you're prepared for it. Go in knowing exactly what you want to say and how you want to say. And if you don't have a valid answer to any of those questions, maybe it's not quite time to negotiate. Trying to haggle your wages just for the sake of it can reflect poorly on you. Instead, give it some more time. Learn more skills, get more experience, and show them your true merit in the company. Once you have something to back you up, and real-life examples to support it, head into that office once more. Someone Give Me a Price Tag! All this talk of money and worth is making it hard to think. Someone just say what the salary should be already! It can be challenging to understand just how much you, as an individual worker, are worth. It's not like you can just Google what your net worth is. While you may not be able to do that, unless you're Beyonce, you can Google what other people are making in your field. See what salaries people of similar background and experience make and compare that to what you're making. If the numbers don't seem to line up, perhaps it's time to start thinking about a bit of negotiation. If they do, at least you know that you're making a fair wage compared to others out on the market. If negotiation is so important, why is it that so many people don't negotiate salary raises? Honestly, it's difficult. Especially for someone who's never done that type of thing before. It seems harmful to your reputation, impossible to succeed with, and a challenge just to even think about. Why is that? What makes this seem like such a daunting task? The truth lies in our prior experiences. We often view negotiation as a sign of conflict. People are not agreeing in terms of money and must, therefore, go back and forth on how much something is worth. This idea of conflict is only then heightened by the prior experiences we've had with conflict. Perhaps you've argued with your brother, your partner, your mom, or a friend from college. You're bound to have lost an argument somewhere down the line, which then creates a fear of loss, punishment, and rejection. This fear then translates to your job when negotiation is brought to the table. You don't want to lose your job or be somehow punished for trying to improve your wages. That alone makes trying to negotiate incredibly difficult for anyone at any stage of their career. The important thing to remember here is that it's not a major conflict unless you make it into one. Unless you go in and begin screaming until you get a raise, you'll probably not experience the type of conflict your brain is imagining. Speak professionally, and you will be responded to professionally. Make them understand your points in a non-hostile way, and your idea of conflict should disappear. The first time you do this will undoubtedly be the most difficult. If you can push through that fear and walk out victorious, everything in the future will seem like a breeze. Great, it will get easier over time. But that doesn't help you the first time around. You need the right tools and mindset to tackle this task head-on. Which is why we've created a step-by-step guide to negotiate salary raises in a way that is simple to understand. All you'll need to know is the word, negotiate. You'll never be able to fix a problem you don't see. Look around you, both at work and online, to see what people of your skill should be making. There are a lot of variables to this, but stopping and noticing that something is not fair is the first step to it all. Is this a good time? Do you have a reason to be making more? Have you established yourself at this company? Consider your unique situation before jumping into a negotiation. Now may not be the best time, or it may be the perfect time. Take a look at your situation and consider the pros and cons of acting now or acting in the future. Go Google it! See what other people in your geographical area and profession are making. Take the time to notice their skill level and experience. Do a bit of research on what things you might want to say or do while negotiating. While we are able to provide you a rough outline, you may want to search for job-specific negotiation points. Breathe. It's going to be okay. The world will not burn up in smoke just because you want to make the money you deserve. Remember that negotiation does not necessarily equal conflict. Things can often be easily resolved, and there is no need to be fearful about it. Do your homework. Think about how you want to speak to your boss during the negotiation and what you might be able to say. Don't try to wing it the day of. Planning is a crucial part of any successful negotiation. Sure, not all the details may be said in the same order, but having a rough idea of what you'd like to say can make sure you hit key points in the heat of the moment. Show them why you deserve it. Tell them what you have done for their company and what makes you worth more than what you're being paid. Don't just say “You'll never find someone better than me.” Be honest and incorporate details from your experience. Don't brag about being amazing; explain to them why they should think you are amazing. Your boss is going to ask you questions. They're going to want to know why you want them to up your salary and why you deserve it. Be prepared for this. Just because you have a speech ready does not mean that you'll succeed. You need to be able to calm their fears but successfully answering their questions when they ask them. You're in the office, and you're going over all the things you've worked so hard to prepare. Everything is great except for one small detail: the way you talk. Remember that you are in a professional environment and that you must, in turn, speak professionally. You're not hanging out with your friends and laughing about how stupid your job is. Present yourself well, speak firmly yet warmly, and take the time to listen to what your employer has to say. If you remain professional and talk things out, you will likely be able to come to an agreement everyone can be satisfied with. You did it! You successfully negotiated your salary and came out victorious. Now it's time to bathe in that success. Take some time to reward yourself for going through with the whole process. Perhaps you get yourself a fancy lunch, or maybe even those new pair of shoes you've been waiting for. It's also going to be important to follow up with your boss to let them know that you are satisfied with the outcome and that you appreciate their flexibility. Now that you know exactly what to do, it's important that you know what not to do while attempting to negotiate salary raises. It can be easy to get caught up in the heat of the moment and say things unintentionally. This could potentially end your chances of ever hoping to receive a salary boost from the company. By knowing what not to say ahead of time, you can avoid these common slip-ups and have a better chance for success. Like with most things in life, it's important to follow up after the negotiation process is through. You want to let your employer know that you understand this was not just a big moment for you, but a big moment for them too. Don't be apologetic about the experience; you deserve what you were given. But do be humble about the whole process. Thank them for understanding your perceptions and thoughts and for being gracious with their offer. People like to feel acknowledged and appreciated, even your boss. If they know you're appreciative, they may be more willing to give you a raise again further down the line. Money can often make or break the experience you have working at a job. It can stress you out and miss out on the wonderful opportunities a workplace can offer. By learning to negotiate salary wages, you can eliminate that stress and get back to doing your job. You can help push your company forward, make great connections, and have the skills and resources to back you up as you continue to move forward with your career. At the end of the day, remember to enjoy yourself. Negotiation can be scary, but if you're able to do it and do it well, you will feel so much better. Not just about your job, but about yourself. So do yourself a favor and stop settling for less. Grab a bit of courage and go get paid what you're worth. This entry was posted in Salary on March 19, 2019 by Diane Turner. What is the Average HVAC Salary? If there’s any business that is literally never going to fail, it’s the HVAC industry. Heating and air-conditioning isn’t exactly a luxury – depending on where you live, it could be an absolute necessity. Try telling a resident of Phoenix, Arizona that they don’t need their AC, or a survivor of a North Dakotan winter that they should give up their heater. Every building built in the past 30 years has HVAC systems, and most buildings older than that have been retrofitted with them. When it comes to a career in HVAC, you’ll be set-up for a long time. What is the National HVAC Salary Average? How Well Does the HVAC Industry Pay? The fact is, there are dozens of HVAC positions across the entire spectrum of the industry, which is why it’s so hard to nail down an exact average. So, instead, we’ll break down all of the most common HVAC job titles and give the normal ranges for each. Whether you’re looking for HVAC techs, engineers, installers, management, or sales, you can an accurate picture of common HVAC salaries and the requirements to earn them. The job title “HVAC technician” covers a plethora of careers, from entry-level all the way to seasoned professional. We’ll start at the bottom and move up as we go. Also called a “helper” or an “apprentice,” the HVAC assistant is pretty much the lowest rung of the HVAC career. It’s a good starting point, though, giving you a good picture of what the work is like, and giving you an entry into the field. It’s a good place to meet technicians and prove yourself to a company while you go to school or complete your certifications. The job description covers a broad array of tasks. The helper’s job is to help with the delivery of HVAC materials for the installers, and the removal of old equipment. Often the helper cleans the ventilation and will also pick up after the install – refuse, debris, packing material, dust, all of the various detritus that ends up on the floor after a project. They assist in small repairs and must be handy with tools and have a mind for how things go together. The average salary of an HVAC Helper is around $28,800 a year, or $15 dollars an hour. An HVAC installer does exactly what it sounds like an HVAC installer does. But, all jokes aside, an HVAC installer is responsible for all of the work of removing old equipment (if it exists), and putting in all of the new gear needed, based off the specifications of the client. Installers make up the backbone of the industry, perhaps combined with HVAC service technicians, and are always in demand. Most installers require either an associate degree in HVAC tech, or an HVAC tech certificate. Depending on where you live, you also may be required to get a special HVAC license. If you handle any refrigerant chemicals, then the EPA requires that an HVAC tech pass a written test. The average salary of an HVAC installer is $47,000, according to the Bureau of Labor Statistics. An HVAC service technician is the tech you’re going to see most often – they service, maintain, and repair existing HVAC systems. Not only will you need knowledge of troubleshooting chillers, thermostats, heaters, and the like, but you’ll also be working with clients and customers far more than most HVAC installers and start-up techs. And considering how grumpy folks can get when their AC has been busted for hours (or days), the job requires a gentle hand and a level head. The average HVAC salary for a technician is around $50,000, though it could change dramatically based on your location and the company you end up working for. The start-up technician comes in after the installers have finished their job, and it’s their duty to make sure that everything is done correctly and can start up without a problem. The start-up technician requires a good eye for detail, a head for local laws and regulation, and the ability to troubleshoot extremely complicated systems with multiple points of failure. It’s their duty to not only find out what problems might occur down the line (or notice what problems have already been created by installation complications), but also to anticipate where the system could be improved or even done better. They inspect the installation during and after the process, keeping in mind both the specific needs of HVAC like insulation and leaks, but also construction needs to safely support all of the installed equipment. In order to become a start-up tech, you’ll have to follow the same requirements as an installer, plus you’ll need 2-4 years of experience as an HVAC installer. A comprehensive knowledge of local construction laws could be a massive help. On average, a start-up technician makes around $74,000 a year. HVAC fabricator is an extremely technical job that requires precision, the ability to read plans and follow instructions, and skill with multiple power tools and welders. It’s the job of the HVAC fabricator to custom-make duct work for buildings, using the specifications created by the contractor, engineers, and the other HVAC technicians involved in the job. They cut and weld sheet metal and put it together exactly as required for the space it’s going to go in. Welding skills are an extremely valuable requirement, including both spot and MIG welding. Sheet metal is extremely thin, and welding on it can be tricky, so an experienced welder is required – usually with at least 3 or 4 years of welding experience. The average salary for an HVAC fabricator is around $50,000. HVAC Engineer is by far one of the most technical positions in the HVAC industry, and their HVAC salary reflects that fact. First, the job of an HVAC engineer is to analyze, provide estimates, design HVAC systems, and coordinate the installation of HVAC systems. This involves working with the client, the HVAC installers and start-up techs, and pretty much every rung along the ladder from top to bottom. In order to become an HVAC engineer, it’s best to start with a bachelor’s degree in either mechanical engineering or HVAC engineering. Often an architectural engineering degree can also help, as long as you have the practical HVAC experience to back it up. You’ll need a bit of a laundry list of skills to pull down an HVAC engineering job – it’s not a profession for the faint of heart. Not only will you need advanced knowledge of refrigeration systems, ventilation, and heating systems, but you’ll also need to have a comfortable understanding of computer software. HVAC engineers use programs like AutoCAD to design systems and fit them into existing buildings. In fact, a CAD certification could do wonders for your job prospects. The HVAC salary for an engineer averages around $83,500 per year, and has a 5% predicted job growth from 2018-2024. This is a position often forgotten about when discussing HVAC careers. In fact, none of the techs or designers are going to be able to get any work down without a salesperson closing the deal first. HVAC sales work with clients and potential clients, managing their needs, wants, and expectations with the realities of price and construction time. It’s not just about being a convincing person with a silver tongue – though that helps. HVAC sales does require some knowledge of the field, to best understand what it is the client wants, and also how to translate engineer-speak into something the client can understand. While the mathematical average wage of an HVAC salesperson is $48,000, the salary range has an extremely wide spread. It’s not uncommon to see an experienced salesperson at a successful company making near $80,000, while a phone salesperson at a smaller company might make only $25,000. As it turns out, HVAC pays pretty well, and it’s an industry that has solid job growth predictions for years to come. Many of the decent paying jobs don’t even require much schooling – an apprenticeship and the appropriate certifications can take you a long way. That, a good attitude, and a strong work ethic could keep you employed and making money the rest of your career. Whether you’re a salesman, you’re good with your hands, or have a keen mind for learning quickly and understanding mechanical systems, there’s a path in the HVAC industry for you. This entry was posted in Salary on February 8, 2019 by Diane Turner. What is the Salary for Speech Pathologist? A speech pathologist deals primarily with speech and language disorders in both adult and children. Speech is not only a form of communication – it’s a source of friendship, of self-confidence, of the agency to interact with your world. Speech impediments can be extremely harmful to those afflicted, both mentally and emotionally. With somewhere around 8 percent of school-age children being affected by speech, voice, and swallowing disorders, the work for speech pathologists is exceedingly important. How Do You Earn a Speech Pathologist’s salary? There’s no denying that in order to become a speech pathologist, there is a great deal of education and licensure involved. The science of speech pathology is constantly evolving, too, so you’ll have to keep up your study habits and continue to attend professional development classes in order to earn that speech pathologist salary. It is the duty of a speech pathologist to help people of all ages with various disorders that relate to speech, voice, swallowing, language, and other communication-related disorders. This isn’t just people with lisps and trouble with their ‘Rs,’ either, though those certainly fall within their scope. There are language disorders that aren’t necessarily related to trouble with word formation, and instead speak to a greater problem with both receiving language and expressing it. These kinds of disorders aren’t even just spoken – the inability to communicate written language can sometimes fall into the speech pathologist’s purview. Speech pathologists also deal with cognitive communication issues. These disorders relate to attention span, memory, ordering your thoughts, and even basic issues like solving problems. Other disorders that the speech pathologist works with include swallowing and feeding issues, voice problems, semantics, and even non-pragmatic speech. The speech pathologist employs articulation speech therapy, sensory feedback, oral motor techniques, and other tried-and-true methods to help ease speech disabilities and improve the lives of those in their care. In order to become a speech pathologist and earn that sweet speech pathologist salary, you’ll need to complete a bachelor’s degree (hopefully in a related field). Recommended fields include speech and hearing science, or communications. Getting some education in another language – especially a common one in your area – could be a huge boon as well. Bilingual speech pathologists sometimes get paid more, but they definitely have more job opportunities than monolingual speech pathologists. From there, you’ll need a master’s degree in speech pathology, which comes packaged with practical in-field study and practicums. As far as certificates are concerned, the Certificate of Clinical Competence in Speech-Language Pathology is almost certainly a requirement. This involves over 350 hours of observed experience in the clinic, and of course that pesky master’s degree we mentioned earlier. This certificate and the test that goes with it is administered by ASHA, or the American Speech-Language-Hearing Association. Unfortunately, even if you’ve obtained all of the necessary education and you have a well-paying job in the field, it’s not the end of the path just yet. Like many fields, speech pathology is an evolving field of study, and is constantly being tested, improved, and augmented to better help both the patients and the pathologists in their duty. You can be expected to hit up workshops, attend seminars, and even complete more classes in order to stay ahead of the curve. Luckily, some of these conferences will be in Las Vegas, so that’s nice. According to the Educational Psychology and Communication Disorders branch of Georgia State University , there are a number of notable skills and personal characteristics that a good speech pathologist ought to possess. First and foremost, you must thrive on solving problems, of seeing an obstacle and enjoying the process of finding a way around it. Not all communication and speech disorders are made equal, and even if they were, it’s your job to communicate to people who are having trouble communicating. This is a sticky situation that requires enthusiasm, perseverance, and the joy-of-the-job necessary to try over and over again until you’ve achieved your goal. After that, obviously communication skills are key. When someone cannot communicate verbally (or cannot hear or understand what they’re hearing), then you must be skilled enough at non-verbal communication, body language, and written skills to get your message across. Of course, the opposite can be true, too – someone who is having a poor time of understanding body language needs to be told, verbally, both its importance and how to identify and decipher it. The next most important skill is organization prowess. No matter where you end up working, you will likely have multiple clients (sometimes more clients than you feel like you can handle). You must keep track of all client’s diagnoses, track the work being done and its efficacy, and also keep track of all testing materials and results. You’ll also be under heavy scrutiny as regards to local laws and regulations, be they for school rules and laws, hospital regulations, or even the ethics guides of a corporation or government organization. You’ll live in a nest of red tape, so being able to untangle and navigate through skeins of bureaucracy and paperwork is vital. Collaboration skills are also key – you’ll rarely be doing your work in a vacuum. If you’re working at a school, you’ll have to work with the student, their teacher, and their parents in order to implement the strategies necessary for rehabilitation. Teachers sometimes either forget or disagree with accommodations and fail to implement them, and parents can sometimes be very particular and hands-on about their child’s needs. Being able to solve group problems in a tactful manner is vital to not only your client, but to your career. If you work at a hospital or other mental health facility, you can apply all of those collaboration responsibilities with doctors, patients, patient caretakers, and nurses. There are a few roles speech pathologists may find themselves in, which is why it’s important to break them down. This is also where we’ll get into a discussion about the speech pathologist’s salary – a general average may not be terribly helpful, but if broken down by exact roll it could be a more useful figure. Working in elementary and secondary schools offers a number of benefits to be considered. The first is the actual, literal benefits – school employees often have spectacular health care, a schedule with lots of time off, and a number of legal protections. Working in a school also offers a high degree of job satisfaction. It is in the early years that many speech impediments and disorders happen, and it’s also in these formative years that self-esteem issues can become set in stone. No matter how long ago it happened or how repaired the issue is, being bullied or teased for the inability to communicate creates scars that can last a lifetime. A speech pathologist can be a hero to kids most in need of help. The average school speech pathologist salary runs around $71,000, according to the Bureau of Labor Statistics. Hospital speech pathologist isn’t an official title, but we’re using it to cover those working in hospitals, mental health facilities, rehabilitation centers, and the like. You will treat both children and adults in a variety of cases. Some may be congenital like swallowing disorders, others may be learned like speech impediments, while others may be the result of an accident, disease, or surgery. You may also not be a permanent fixture at one clinic – many private speech pathologists travel between hospitals, rehab centers, and even private homes to accommodate their patients. Some even travel long distances, even internationally, so if you love the idea of traveling on the job you may want to consider a position like this. The average clinical speech pathologist salary floats at around $86,000. If you intend to run or manage speech pathologists, whether in a clinical setting, private organization, or school, you’ll need the same knowledge of speech pathology as anyone working beneath you. Those communication, problem-solving, and pacifying skills will come in twice as handy in a position like this. The average managerial speech pathologist salary is $99,000. As you can see, no matter where you end up working, the salary for a speech pathologist is hefty and well-earned. It’s not often an easy job, and it requires a lot of education and certification, but it’s the kind of career that changes people’s lives. Whether their speech and communication disorders came at birth or through bad luck, a speech pathologist can change the lives of their clients every single day. I saw a speech pathologist when I was a child, and it’s the only reason I’m able to verbally communicate as well as I can. Students and adult will forget many lessons and many people in their lives, but the person who gave them the gift of speech will forever remain in their mind. This entry was posted in Salary on February 4, 2019 by Diane Turner. What is the Average Librarian Salary? The idea that libraries are going the way of the dodo has, ironically, gone the way of the dodo. Libraries are becoming more and more popular – they’re free, easily accessible by all economic classes, and ecologically low-impact. Plus, they’re just great resources for communities and kids, spreading education, fun, and a love of reading to everyone. They’re also more than just repositories for books these days, too. Many libraries have DVD and BluRay sections, digital content, ebooks, and internet terminals that can be used by anyone. Did you know there are over 360,000 librarians employed in the United States alone? That’s split between academic institutions, private school, public school, and public libraries. With a hefty selection of jobs available and a need that isn’t going away any time soon, becoming a librarian is a solid career choice. The job pays relatively well, also, and usually has set hours, a steady schedule, and a pleasant and calm work environment. Plus, if you’re a bookworm, what better place is there to work? So, What Does a Librarian Salary Look Like? How Do I Become a Librarian? Librarian salaries are going to fluctuate depending on your level of education, location, the organization your working for, certifications, and of course overall seniority. However, according to Glassdoor, the average librarian in the United States makes $63,506 a year. Keep in mind that that is an average – some librarians make far less, and some far more. The best way to break down the salary is to look at not only how you become a librarian, but also what kind of librarians are out there and what they make. This should give you a greater picture of a librarian salary that’s a little more useful to you than a soft average that gives no context. The first step on your journey to a fashionable pair of nerd-chic glasses and the ability to shush a student from 100 yards is a deep and abiding love of either A) books, B) organization, and hopefully C) both of the above. The second step is, naturally, education. Now, most states do require or at least suggest a master’s degree, especially if you’re hoping to work full-time in a school or academic setting. There are jobs that will accept a bachelor’s degree, though, so take a look at places like Indeed and LinkedIn to double-check on the availability. Still, with the degree requirements increasing across the job market, a master’s degree is a great way to future-proof your resume and ensure that you won’t have a problem finding employment. For your first degree, you’re going to want a bachelor’s in either information studies, library science, or a similar area of expertise. A computer degree may be sufficient, depending on its focus, but you’re never going to go wrong with a library science degree. After the bachelor’s, it may be wise to proceed immediately to a teaching credential of some kind – many school librarians double as teachers in a pinch, plus they’re frequently teaching students and managing their behavior. Not only is it required in many places, it’s also just handy to have – if you ever need or want to switch to a teaching job from librarian, you’re already set up to do it. Next would be the master’s degree, preferably a Master of Library Science. An MLS teaches additional aspects of being a librarian not covered in your bachelor’s, including classroom technology, management, and even literature classes to help you be more than a living, breathing Dewey decimal system. All of the above are requirements (or close enough to requirements that it may harm you to not have them). However, there are things you can do to improve your chances of becoming a librarian that aren’t necessarily a 100% requisite to the job. The National Board Certification of Teachers (or NBC) allows teachers and other school staff to obtain a voluntary additional credential based on more in-depth teaching styles. The tests are comprehensive and the program rigorous, but having a voluntary credential from NBC can do wonders to not only beef up your resume, but to also impress upon recruiters that you take your job seriously and are committed to going the extra mile. The duties of a librarian at a public library can be different in many ways than the librarian of a school. While you are still dealing with children, that is only a portion of your c​​​​lientele. Public librarians will see more people than school librarians and will have to be good at dealing with adults as well. With adults comes the (low) chance of more serious conflict, even if it’s having to remove someone from the library for breaking the rules, causing damage, sleeping, and the like. There are some interesting perks though – you may be doing things like hosting local authors, musicians, and even showcasing local artists and other exciting talent. The average public librarian changes from place to place: for instance, in Orange County, the average public librarian makes between $71,000 and $81,000. Then again, the cost of living is much higher. In Kentucky, a public librarian can be expected to make somewhere around $36,000. As a public librarian, you probably won’t need a teaching credential. If you’re working in a public school library, you will most likely need a teaching credential. Luckily, it doesn’t take too long to get a teaching credential – a year for most people. According to the U.S. Bureau of Labor Statistics, public school librarians make on average between $58,000 for elementary, middle, and high school and $60,000 for colleges. The benefit of working for a public school too is that your salary will increase pretty much every year like clockwork, and you’ll usually be set up with the same kind of excellent benefits that teachers get. You’ll be able to help shape young minds, to teach them a love of reading, to help them on their journey to learn more knowledge, and to improve themselves mentally and spiritually. Working in a private school comes with a different set of requirements and possibilities. While you won’t be as protected as a public school employee, the requirements for employment will also be more flexible, and often the pay will be higher. For instance, the average private school librarian salary is around $63,000, according to glassdoor.com. Private schools are often more willing to look at experience and skills over not necessarily having every exact certificate. Many private schools do not require teaching credentials and will instead settle for a master’s. Obviously, a teaching credential will always help you, but if you don’t have one, you may want to consider checking out private school librarian jobs. Plus, all of the benefits of improving students’ lives and showing them the power of books and information technology still stand. The university librarian is a much bigger job than either private or public-school librarians – not only are you fulfilling all of the normal functions of a librarian, you’re also often providing on-the-job training for student librarians, and you’re often also leading a staff of pages and assistant librarians. Part management job, part book keeper, the university librarian also often just has more books, more computers, more real estate to take care of, and just generally more work. The average university librarian salary comes in around $63,000, a bit higher than a public school librarian and around the same as the average private school librarian. However, the upper limit salary of a university librarian is usually higher and can approach the $100k mark. The position is also generally considered more prestigious and can help you down the line. Speaking of down the line . . . Being a librarian is a fine career on its own, but if you’re looking to make more, or you’re curious about the potential career path of a librarian, there are options for promotion and growth. An associate director of a university library can make between $80-$146k, depending on experience, and a director of a university library can pull down somewhere around $100 to $160k. Now, if becoming a director is your long-term goal, those are some pretty great salaries. That’s nearly the same salary as a member of Congress! As with any job, the future is never 100% guaranteed. And while the internet took a bite out of libraries when it first arrived, libraries around the world have adapted and are soldiering on. Libraries have embraced technology, embraced the internet, and have discovered that keeping and sorting data is always going to be important, and it’s always going to need a human face that connects the seekers of knowledge with the tools they require. A librarian is an old profession, a keeper and giver of knowledge, and luckily for all of us, it’s a job pays decently. This entry was posted in Salary on February 1, 2019 by Diane Turner. ​Finding a new career doesn’t always involve deep research into abnormal psychology, quantum physics or string theory. Sometimes, a new path in life is starting you right in the face and you’ll find it where you least expected it. One field that will never run out of necessary human employees is the field of plumbing. So long as sewage systems and drainage operates, a plumber will always find employment. And with it, a steady line of work that might not be as glamorous as some other occupations but will keep you working. We’ll be taking a look at a plumber salary and how you can find your way into a career. If you’ve been raised on Super Mario Bros, we will take this time to inform you that plumbers don’t typically encounter rogue turtles and kidnapped royal family members during a typical day on the job. Plumbers will start by drawing up a cost estimate for clients, which might change depending on the nature of the job situation and how long the actual project takes vs. how much time was given during the estimate. Plumbers must know how to interpret blueprints and follow zoning codes established by local and state governments. As the job moves forward, they will choose the correct materials and equipment necessary to complete the job at hand. Fixtures and pipes are placed in new buildings, and existing infrastructures are repaired if there is no need for an outright replacement. As part of a regular maintenance operation, plumbers inspect and tests piping systems that are already installed. If a malfunction occurs, troubleshooting takes place to determine the root cause, and if possible, parts are repaired. When repairs are impossible, it’s up to a plumber to find replacement parts and patch up the necessary areas. Plumbers are needed in every area of modern life. On top of private homes and residences, any building occupied by the public will require a piping system for drainage and sewage. Plumbers can take contracts with office buildings, libraries, hospitals, university dormitories, and correctional facilities. Becoming a plumber requires a high school diploma for starters. Once finished with high school (or after earning a GED or equivalent), plumbers will begin an on-the-job apprenticeship. Typically, this will last for four to five years, depending on the number of hours needed to complete the program. Classroom topics taught during the apprenticeship can include blueprint reading, safety codes, and regulations for local plumbing ordinances. Unions and businesses are in charge of apprenticeships. Once a plumber gains several years of experience, they might be eligible to earn the title of master plumber. Usually seen on construction sites, master plumbers can develop their own sets of blueprints that are utilized to build new plumbing infrastructures. By using a master plumber, building owners not only ensure that building codes are followed. They also maintain a stable budget, and don’t interfere with other building systems, such as electrical wiring or fiber optic cables. The all-important question: how much does a plumber actually make? Even though it doesn’t require as much education as other careers, you can earn a solid living if you are skilled at your trade and don’t mind getting your hands dirty. The average annual wage for a plumber in May 2017 was $57,070. If this sounds like good money to you, why not take a deeper look at plumber salaries throughout the country? You’ll find the highest salaries in communications equipment – thanks to the large amount of funding available in larger telecoms companies, who will pay top dollar for plumbing services needed in their corporate offices, manufacturing plants, and distribution warehouses. The same standard applies to those in the electric power and various professional services sectors. In the case of metal ore and aerospace, plumbing and pipefitting are crucial to the continued function of a distribution center where commercial airplanes and space shuttles are manufactured. Not only is plumbing a vital component of major airlines, but each warehouse here airplanes are manufactured must be maintained like any other office environment. If you have ever needed an excuse to move to Hawaii, here it is: the richest plumbers in the country work in the Aloha State. The constant level of tourists and vacationers, along with the residents of the island, requires all resort buildings to be strictly maintained. The last thing a luxury resort in Maui wants is a malfunctioning sewer system that would force a string of cancellations, and even worse, shutting down a hotel for an entire day. Taking second place is New York, which shouldn’t come as much of a shock. Think about how many people pass through Times Square, Grand Central Station, and the Port Authority bus station daily. All of these people will end up in other buildings, and the massive population of New York City, along with the rest of the state, ensures that the cost of living and rent for office buildings will trickle down to a plumbing salary. Looking at this list, you might notice a sharp drop-off between Texas and New York, the second and third entries respectively. Consider the geography of each state – although New York’s population density is enormous, the total amount of land doesn’t even come close to California or Texas. As a result, fewer buildings can be found through the entirety of New York state. Compare this to Texas, which is home to three major cities: Austin, Houston, and Dallas. The same concept applies to California. Sacramento, Los Angeles, San Diego, and San Francisco are just some of the cities making up the Golden State. No matter the population of a given area, there will always be demand for plumbers across California, whether it’s for multimillion-dollar homes in Hollywood, or corporate headquarters in the skyscrapers of Los Angeles. Florida’s constant tourism and retirement population will keep plumbers working in residential communities and the vast number of amusement parks and resorts scattered throughout the greater Orlando area. Like California, Florida’s large size lends itself to expansion for more buildings and communities that will require the use of a plumber. You might say this list is a little stacked in favor of one industry, and you’d be right. Finding work as a plumber is going to be the easiest when you search for brand new construction operations, or an existing project in a state of remodeling or repair. There might be other industries that pay top dollar for plumbers. But if you can secure a contract on multiple buildings that pay just a little bit less than one big job, you’ll be in a better position to negotiate contracts and secure employment with other projects in the future! As you move through your career as a plumber, you might consider expanding your trade and taking on some other responsibilities. Plumbers bear a lot of the same responsibilities as pipefitters, who also work to maintain infrastructures of pipes in buildings, but these pipes transport other materials. Pipefitters work with pipes that transport gases, acids, or chemicals, some of which may be hazardous or dangerous to human senses. Typically, pipefitters will see employment in industrial and commercial settings, as the gases and chemicals transported inside these piping systems are not found in private homes. They can find work in power plants or larger office buildings where massive corporate populations exist. Pipefitters can work with water systems, installing copper or plastic infrastructures and preventing any leaks for the future. Along with plumbers, pipefitters utilize digital readouts of blueprints that model physical systems and allow multiple industries to coordinate on building design. For example, a plumber might cross-reference the layout of sewage pipes with a cable company to ensure that no conflicts arise when Internet access is planned for a new dormitory. Pipefitters command the same salary as plumbers, so you can expect the same difference in industries and geographical area for a plumber salary as you would a pipefitter. This entry was posted in Salary and tagged plumber salary on January 24, 2019 by Diane Turner. When you hear the word “pathologist,” your mind might race in a couple different directions. You might think of a forensic pathologist, a medical examiner who determines the cause and manner of death. There is also a surgical pathologist, who analyzes and provides diagnoses for excised tissue samples and biopsies of potentially diseased sections of the body. While the word pathologist can be applied to several different industries, a pathologist salary is usually guaranteed to be on the higher end of things. We’ll be exploring the kind of money you can expect to make as a pathologist, and how many different branches of medicine you can explore in the process! At time, this isn’t an easy question to answer. The term “pathologist” has its roots in Greek, referring to the overall study of events that take place within the human body. Today, we use the term to refer to the study of diseases. To figure out a pathologist salary, we must first narrow down what kind of pathologist you are interested in becoming. Below, we’ll dive into several different specialty areas of pathology to determine what kind of salary you might expect in the future. Dermapathology studies the skin as an organ. After taking a biopsy from a melanoma, dermapathologists will use tests to determine the presence of cancer and recommend further treatment if necessary. The title of dermapathologist can be confused with a dermatologist, which is a clinical practitioner who can examine skin conditions and send samples to dermapathologists for further evaluation. Dermapathology requires a close attention to detail, as there are well over a thousand known skin conditions in humans. Made popular by crime scene investigation shows on television, forensic pathology focuses on post-mortem examinations to determine the cause of death, natural or otherwise, in humans. During an autopsy, forensic pathologists will perform the actual medical examination while the coroner confirms the nature of the death. Microscopic samples are used by forensic pathologists, as well as physical trauma evidence and toxicology interpretation. Neuropathology focuses on the study of nervous system tissue, and the diseases that affect the nervous system as a whole. Neuropathologists will consult for other physicians, answering questions about the methods of treatment for a disease and any surgical intervention that might be needed. Biopsies are taken after medical imaging reveals a need for further action. Those in pulmonary pathology study the diseases affecting the lungs. Due to the internal structure of the lungs, medical imaging is used to determine the necessary methods for treatment of a potential lung infection. This could call for a biopsy or surgery, which can include video camera assistance. General surgical pathologists analyze and diagnose tissue and specimen samples taken from potentially infectious patients. Interpreting the results of a biopsy is a crucial and critical part of a surgical pathologist’s career and will determine the course of action in a patient who requires surgical intervention or chemotherapy. Now that you’ve determined your specialty area, what kind of pathologist salary might you expect when you enter the field? That’s what we’re going to find out now. Those who work as surgeons or physicians can expect an average annual salary of $251,890 as of May 2017. This number can greatly vary, depending on your specialty area and the specific type of hospital or clinic where you practice. Below, we’ll dig deeper into the variables associated with a pathologist salary and how you can better determine what you can make as a pathologist. The number of pathologist offices and specialty hospitals in California directly correlates to the high employment number for pathologists seen above. With such a wide area of treatment potential, a number of hospitals utilize pathologists, whether they are public, private, or affiliated with a university. Although the general population in the states above is lower than any of the highest-employing states in the previous list, the patient-to-pathologist ratio guarantees a better opportunity for those pursuing a career in pathology. If you’re open to relocating, think outside of the more populous areas and consider the option of moving out of your comfort zone for living! Although each of these areas are in states that don’t necessarily employ the most pathologists in the country, the concentration of populations in these major metropolitan areas contributes to the availability of careers in pathology, despite the surrounding states’ lower job amount. Anyone who plans to become a pathologist has a long road ahead of them for education. To begin, a bachelor’s degree in any kind of pre-medical program is a requirement. While you may be able to enter medical school with just a bachelor’s, a master’s degree may be preferable when eventually applying to medical schools. You don’t have to choose a specific undergraduate degree, but English, chemistry, physics, or math are great options to explore while preparing for advanced studies. Volunteer work at a local hospital or clinic while studying will also look great on an application. Simply applying to medical school is a huge step. All schools are highly competitive, and you’ll want to take every step possible to ensure you have a great chance for admission. Before becoming a pathologist, you’ll need to pass the Medical College Admission Test, and secure several letters of recommendation from your previous professors or instructors. You’ll need the right personality, qualities of leadership, and activities outside of school to be considered a candidate for medical school. Check into different universities that might offer a combination of undergraduate and medical degrees – you can fast-track your studies with these programs, which usually last anywhere from six to eight years. During the first two years of medical school, you’ll spend most of your time in a laboratory or classroom. Your class topics at this point in your academic career will cover biochemistry, pharmacology, medical laws, and the ethics of practicing medicine. While in classes, you will also cover methods of patient examination, illness diagnosis, and how to properly examine a patient who presents with a possible infection. For the latter part of medical school, you will go through a clinical experience under the supervision of a practicing pathologist. You will cover areas other than pathology to expose you to the world of medicine, and you’ll see different wings of a hospital that could include pediatrics, internal medicine, psychiatry, and oncology. After you graduate from medical school, you will enter a residency, sometimes referred to as an internship during the first few years. Depending on your area of pathology, this could take as long as seven years before you are eligible to practice on your own. In order to perform as a pathologist, you will need to obtain a license in your state. Requirements are mandated by each individual state’s board of medicine. Along with state requirements, pathologists have to pass a national medical exam, which is also different depending on your area of pathology. While certification is not necessary, it might benefit you when searching for employment. Potential pathologists need to be masters of patience. Everyone in the medical field works long hours, and pathologists are no exception, especially when a critical diagnosis may be necessary to determine the next course of action in a patient’s treatment schedule. Pathologists need to be comfortable making decisions, as their diagnosis will not only affect a patient, but the future schedule of other physicians attached to the same patient. All pathologists should be adept at solving problems and determining the best course of action when presented with recognizable symptoms that warrant a diagnosis. If you plan to run your own practice, you’ll need good management skills to maintain a staff of other doctors and administrators. The pathologist salary is likely what attracted you to the idea of practicing medicine, and now that you understand the requirements for pathologists and their specialties, maybe you’re thinking about wearing a lab coat in your future. This entry was posted in Salary on January 22, 2019 by Diane Turner. Are you someone who enjoys the airport, and the hectic environment that comes with the operation of runways, landings, and takeoffs? You might be interested in a career as an air traffic controller, one of the most important cogs in the machine of air travel. If you aren’t worried about the need for very specific attention to detail and split-second decisions in case of an emergency, you may have found the perfect new career. As you read, we’ll be taking a look at the average air traffic controller salary, and what you can expect to make in different parts of the country. The number one duty of an air traffic controller is the assurance of safety for those in the air. Controllers minimize any interference during the intersection of flight paths for commercial airliners, and their direction will reduce any delays for arrivals and departures. Air traffic control crew uses special computer equipment to monitor the movement of all planes in the air. Those in air traffic control will monitor nearby weather and ensure that any landings are made safely in case of an emergency, sometimes involving aircraft not originally scheduled for landing at a given airport. Several different kinds of air traffic controllers work in an airport’s safety department. Tower controllers are in charge of vehicle movement on runways. This includes airplanes as well as all ground transport and baggage handlers. Tower controllers remain in their position from the control area and can manage anywhere from 3 to 30-mile distances from their location. Controllers in approach and departure make sure that any aircraft entering an airport keeps within a minimum separation required for the safety of everyone involved. Approach and departure controllers send clearance to enter an airspace and use radar equipment to monitor flights as well as weather conditions and critical alerts that affect air travel. Approach controllers will aid pilots and the rest of the crew from takeoff until it reaches the threshold of facility airspace. There are also en route controllers, who monitor the path of aircraft once it has successfully departed the airspace of a facility. Unlike other air traffic controllers, en route controllers can usually be found at air route centers, which you won’t find at actual airports. Airspaces are assigned to air route centers respective to their geographical layout and the amount of air traffic seen in their area. If necessary, en route controllers will adjust the flight path of a plane while guiding it to a safe landing. Once en route controllers are finished, they hand off duties to approach and departure controllers. The Air Traffic Control Systems Command Center employs a number of air traffic controllers, which looks at airline travel on a national level. When they identify a potential problem with travel operations, they relay information to local traffic controllers. The goal of the command center is to keep a larger eye on the sky and lighten the workload of smaller air traffic control departments, who need to focus on their immediate surroundings. So, just how much does an air traffic controller salary look like these days? As of May 2017, the average annual wage for an air traffic controller was $120,260. This number can vary quite a bit based on location and industry, which is what we’ll be looking at in some of the charts below. ​​​​​​If you’re curious why New Hampshire, a geographically small state, is at the top of the list, the answer comes from the military. New Hampshire is home to several military bases in Newington. Air traffic controllers are an essential element of exercises conducted at each location, and government contracts for air traffic controllers can be quite lucrative. The same can be said for Virginia, as the Air Traffic Control System Command Center is found in Warrenton. Georgia pays air traffic controllers well due to the high amount of traffic seen in Atlanta, home to the busiest international airport in the country. Furthermore, Atlanta is the main hub for Delta Airlines, and with such a high concentration of air travel in one spot, it makes sense that some of the most well-paid air traffic controllers work at the Grand Central Station of air travel. Looking past the top entry, we note that the federal government pays the most to air traffic controller salaries. Considering the high amount of military operations conducted with aircraft, this shouldn’t come as too much of a surprise, especially if you factor in the amount of non-military aircraft monitoring for government officials and representatives. We can attribute these numbers to the high number of major cities with multiple airports spread across each state. In California alone, major international airports operate out of San Diego, Sacramento, and Los Angeles, while Florida has Miami, Orlando, and Tampa. The same can be said for Illinois (Chicago O’Hare and Chicago Midway) and New York (JFK and LaGuardia). If the numbers seen in an average air traffic controller salary have convinced you to pursue this as a career, you may be interested to know that there are a few different paths to becoming one. Along with the screening process, all potential air traffic controllers will need at least an associate degree from an AT-CTi program. These accredited schools are designed with air traffic controller careers in mind. While they don’t have a set curriculum, the courses all focus on aviation and safety for a future in aircraft monitoring. Class topics will include weather conditions, federal safety regulations, how to read charts that affect air traffic, and issuing clearances during arrival and departure. The FAA Academy is located in Oklahoma City. Length of time spent in the training facility will vary according to an applicant’s background. If your previous education is not as extensive, you might need to catch up in certain subject areas. After graduating from the academy, trainees are designated as developmental air traffic controllers, where they can work under supervision until finishing all the necessary requirements. Anyone entering the FAA Academy has to pass a biographical assessment, a kind of personality test to see if you have the sort of personality and psychological makeup necessary to hold a career as an air traffic controller. Air traffic controller salary will increase with additional training and credentials earned at the academy. If you have previous experience in the industry upon entering the academy, you won’t have to spend as much time going through training as other candidates. All air traffic controllers are required to obtain certification as an Air Traffic Control Tower Operator, or maintain the appropriate qualification or supervision. At least three years of work experience is necessary to pursue a career in air traffic control, but there are no specific requirements for industries where previous employment took place. There will be periodic drug screenings and job performance evaluations as well. For a future in air traffic control, you should possess high skills in math, organization, and decision making. In a high-pressure environment involving the direction and maintenance of airline safety, you need to be able to focus and maintain control over a situation that may involve inclement weather or an equipment issue on an aircraft. Clear communication is an asset for all air traffic controllers. The ability to speak and hear perfect English is essential for a direct conversation between pilots and the control tower. At any given time, you could have several voices in your ear while wearing a headset, and you’ll need to be able to determine who is speaking and which is the most important. If an air traffic controller salary attracts you to the profession, and you think you can handle the busy environment that comes with airline communication and direction, go for it. An exciting new career and opportunity may be awaiting you. This entry was posted in Salary on January 17, 2019 by Diane Turner. A Glamorous Career: How Much Money Does a Bank Teller Make? Think about the last time you drove through a teller’s window or got out of the car and walked inside the bank to make a transaction. Have you ever thought about starting a career in the banking industry? Many people who go on to become managers and bankers begin their career as a teller, handling cash and documentation for the daily flow of customers. We’ll be talking about the average bank teller salary here, and how much you can expect to make as a bank teller in various parts of the United States. Bank tellers are responsible for the number one thing associated with banks: money. Tellers will count the cash given to customers throughout the day and keep track of the flow of money in and out of their personal drawers, not unlike a cashier in other places of business. In the case of a bank, however, the amount of money kept in a drawer is significantly larger than that of a cash register in a gas station, department store, or supermarket. Aside from cash, bank tellers will prepare other types of documentation for their customers, which could include savings bonds, money orders, and traveler’s checks. If a customer plans to travel, foreign currency can be ordered through a bank, and tellers must ensure that the correct conversation rate applies to each order. Tellers must ensure that all bank policies and procedures are strictly followed throughout the business day. If a customer presents a check, identification should be verified, as well as the status of the account with the bank. As tellers gain experience, they may be eligible for a promotion, and take on some management tasks, such as error correction or solving customer complaints in the event of a dispute. A college degree is almost never required for a career as a bank teller. You might take a few college courses upon graduating high school, but in general, the most preparation is done on the job. Training for bank tellers takes several weeks. Usually, other tellers with more experience will train new employees on the job, giving them a chance to understand how to perform their duties while receiving instructions and a helping hand in case of questions. Banks may have their own computer systems for performing transactions, which will also fall under the training tellers receive when starting the job. Let’s get to the meat of why you’re here: you want to know the average bank teller salary. As of May 2017, the average annual salary for bank tellers was $28,110, which converts to an hourly wage of $13.89. The lowest ten percent of bank teller salaries was reported as being $21,360, while the highest ten percent came in at $38,330. Increases in salary likely come from years of experience and promotions to head teller positions within a given branch of a bank. As you can see, any bank that operates under the authority of a government typically pays more than a private sector. The amount may vary depending on a state or municipality’s given budget for a year, and the same budget may also affect the number of available jobs. Colleges and universities may be affiliated with credit unions, which can offer special rates to students and employees of a school or its organization. With the exception of Washington state, the highest paid bank tellers all work primarily in the Northeastern United States. If you’re planning a career as a bank teller, you might want to consider setting up shop on the eastern side of the country! Now that you have a fair idea of what to expect from a bank teller salary, you’ll be interested in knowing where the best possibility of securing a job is. Whether you are looking for somewhere close to home or considering a move to somewhere else in the country, there are still possibilities to begin your new career in banking! The overall prediction for bank teller jobs in the United States is predicted as an eight percent drop through 2026. Because of the increasingly digital nature of banking, as well as the prominent use of online apps that allow for scanning and mobile deposits, the need for tellers decreases as advancement in technology increases. With that said, large amounts of cash and currency will always require human interaction, and the role of a bank teller will remain relevant in some capacity even as most people gravitate toward the use of apps and electronic payment devices. With the information you need about a bank teller salary, as well as the number of potential job openings, you might be left wondering what makes an excellent bank teller. What should you study, and what skills might be necessary to keep yourself relevant and ahead of the pace in the world of banking? For starters, you’ll need basic math skills. While calculators are readily available, your hand-eye coordination is an asset, and excellent eyesight to distinguish each type of bill. Counting cash is a part of your daily routine, and you may see different types of currency you don’t normally encounter during your other errands. Customer service is an absolute must among your skill set. Most people are in a hurry when stopping at a bank, whether they enter in person or use one of the drive-up windows. Showing understanding and patience for any concerns they tell you will help customers through their experience and keep you in a positive light in the minds of customers and your fellow employees. You should also familiarize yourself with your branch’s policies and procedures in the event of suspicious activity. If a customer presents a counterfeit bill or a fraudulent check, each financial institution has its own rules on how to proceed. Typically, a manager is required to take action, and reports may have to be written and filed after the event occurs. Your ability to recall specific actions and how the situation was resolved is just as crucial as being able to count the money in a drawer at the end of the night. While it isn’t required, you can find certification programs for bank tellers at certain online schools. Such programs allow you to hone your skills and become an expert on all aspects of a career as a bank teller. As part of a certificate program, you will learn about building relationships with customers, international banking services, and how banks operate as a place of business. Upon completion of the certificate program, you become more desirable as an employee and might be in a position to command a higher salary or advance to a head teller position. If you look at a bank teller salary and decide that you have another amount in mind, you might consider other career options related to the financial field. Clerks in bookkeeping, accounting, and auditing also don’t require any formal degree from a college or university, but there are some postsecondary classes you’ll need to take before considering such a career. If you decide to advance your career even further, you could become a loan officer after earning a bachelor’s degree in a financial or business-related field. You might even consider attending an online school for one of these fields while staying employed as a bank teller and furthering your education. Many possibilities await those who start as a bank teller, and with the right combination of education and experience, you can make an excellent living on a bank teller salary! This entry was posted in Salary and tagged bank branches, bank salary, bank teller salary, compensation, salary on November 14, 2018 by Diane Turner. If you’re thinking about beginning work in the finance industry, your salary as a financial advisor will be determined by a number of different factors. Those who come right out of a university and start a career can expect to command a bit less than their peers who have worked in the industry for several years. Often, you will find that a financial advisor salary is determined by the industry of employment, as well as the area of the country where you’re employed. Typically, financial advisors sit down with their clients to directly talk about the personal financial goals of a client or their company. Advisors must explain the types of services they provide and ensure clients that their money is well cared for. Clients should feel safe and comfortable knowing that their personal wealth is secure with an advisor and won’t feel at risk when recommendations are made for investments, or if decisions are made by advisors on their clients’ behalf. These plans might be mapped out over a short period or longer terms, depending on the commitment level of the client. While a lot of financial advisors have diverse knowledge, you may end up focusing on one particular area or industry, such as retirement or fraud prevention. Financial advisors are certified or licensed to purchase insurance, stocks, bonds, and annuities. If their clients give them explicit permission, advisors can take the initiative and make decisions with stocks currently held by the client, buying or selling as they see fit. Financial advisors spend a significant amount of time promoting and selling their services, expanding their client base, and increasing their income in the process. They can hold presentations and seminars to recruit potential clients while simultaneously explaining the benefits of hiring a financial advisor. Becoming a financial advisor requires you to attend a college or university and earn a bachelor’s degree. There isn’t necessarily a specific field to choose for a major, but you will certainly benefit from studying economics, accounting, finance, or math. With that said, dedicated programs in financial planning are widely available and will prepare you for a career as a financial advisor with courses specifically tailored for dealing directly with clients and their finances. To earn success as a financial advisor, you’ll need to have excellent people skills – you won’t want to scare off any potential clients with an awkward encounter during your first meeting! Expertise in math is a must, as numbers are going to be in your workplace every single day, and you’ll need to understand how to manipulate data and formulas when making transactions. You’ll also need to be able to analyze the personal financial data of your clients, and when you are licensed to make decisions, figure out how to maximize an investment with your history in finance. So, now that you know how to become a financial advisor and what skills are required for the job, just how much can you expect to make when you start a career? The answer will probably please you – financial advisors command quite a salary. As you can see above, the highest paying financial advisor salary falls under the umbrella of security contracts. The job of connecting financial buyers and sellers together can involve extremely high-dollar transactions, which explains the commanding average salary for financial advisors in the industry. In the case of companies and enterprises, financial advisors will be in demand because of the high number of transactions and employees involved in a larger enterprise or corporation. The more potential accounts to deal with, the bigger the need for a financial advisor, and with it, the potential to command a bigger salary, so it’s a win-win! Looking at these numbers, it shouldn’t come as a big shock that New York is, by far, the highest on the list of states that pay financial advisors well. The amount of money circulating through Wall Street is immeasurable at any given moment, and financial advisors are needed at all times to keep track of the constant activity happening on the stock market throughout the business week. California is next on the list, which makes perfect sense, given the number of celebrities wanting to protect their financial assets while maintaining multimillion-dollar homes in the state. Unsurprisingly, the employment numbers directly correlate to the high salary for a financial advisor in New York and California. While Florida doesn’t rank in the top five highest annual salaries for financial advisors, the large retiree population in the Sunshine State attracts a high number of financial advisor positions. Those who decide to spend their later years in Florida after the end of a long career will need the expert advice of someone who understands how to keep funds secure for retirement savings and pension plans. A state the size of Texas, home to several major metropolitan areas (Dallas, Houston, and Austin), will always see the need for financial advisors. Chicago is a thriving city for many demographics, and those fresh to the city as well as Chicago natives can find the need for financial advisors during different parts of their lives. We’ve discussed the large areas of New York City and Chicago, but what about the other three states on this list? Connecticut, Massachusetts, and Missouri all contain extremely busy financial sectors in comparatively smaller locations; Connecticut has Bridgeport, whose population density is comparable to that of the Los Angeles metro area. In the case of Massachusetts, Boston’s financial district rests in the heart of the historic city, and financial advisors would feel right at home in the busy, vibrant part of the commonwealth of Massachusetts. Meanwhile, Missouri is home to St. Louis, one of the bigger cities in the center of the United States, and whose population is confined to a larger metropolitan area surrounded by sparser suburban sections. Now that you know what kind of financial advisor salary to expect, you might also ask yourself: what type of person becomes a financial advisor? Earlier, we discussed the need for you to be excellent with numbers, and skilled with interpersonal relationships. Ideally, you’ll study finance or math in a university, but a deep understanding of psychology is just as beneficial as knowing to how program algorithms into a computer. For a successful career as a financial advisor, you want to be just as in touch with your clients’ needs as you are with market trends and economic forecasts. As attractive as those financial advisor salary numbers are, they don’t mean a whole lot without a steady potential for job growth. Fortunately, you’re in luck, because a 15% increase is expected for the number of financial advisor positions in the United States, a number much higher than the national average for all occupations. In the coming years, a huge number of baby boomers will be retiring, and with retirement comes the need to settle down and secure a financial future for the family. On top of this, the country is seeing personal retirement accounts rise to prominence as an added benefit of a full-time career. These aren’t as transparent as pension plans, and the use of a financial advisor to accurately utilize and plan a retirement account will become more essential as time continues. Even though technology has replaced the human element in many industries, nothing will ever replace another person who has a knack for psychology and can relate that knowledge to the emerging trends seen in the marketplace. This entry was posted in Salary and tagged average financial advisor salary, compensation, financial advisor, Glassdoor Financial Advisor, salary range on November 13, 2018 by Diane Turner.